Can I return the Chimpy when it is damaged? Restart the App and then try it again. If it still doesn't work, you have to pay cash or by card directly at the selling point. You will certainly get back your deposit after returning the Chimpy. 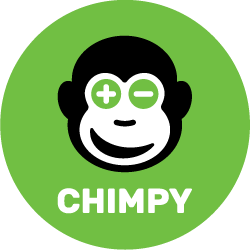 Please contact us by support@heychimpy.com to find a solution for the problem.